The days in Cuba where a Castro is no longer in charge are finally near with the appointment of Miguel Diaz-Canel as president. For the past 12 years the 86-year-old Raúl Castro has ruled Cuba after taking over the country from his brother, Fidel, in 2006. The two have ruled the country since Fidel took over leadership in 1959 after Communist forces ousted the U.S. backed government. On Thursday of last week Raúl Castro handed the bulk of his leadership responsibilities to someone who does not share his last name—Miguel Diaz-Canel. The Castro brothers leave behind in their wake a Cuba that has repressed its people for almost sixty years with an economy that is stunted. Originally backed economically by the Soviet Union, Venezuela became the primary economic supporter after the Soviet Union’s collapse. But with the implosion of the Venezuelan economy, Cuba is looking to find new economic backings. The Cuban economy today is one that is in desperate shape. The value of imports has been cut by a third since 2008, its farms produce very little, and fuel shortages are causing blackouts. The state does manage to feed its citizens and provide adequate healthcare but little more beyond that. When Raúl Castro took power in 2006 he said that Cuba’s economy was a failure and he has not managed to accomplish much economically since then. His saying was “Without pause, but without haste.” and made economic changes at his own slow pace. He created market incentives for some private enterprise and rewrote laws for investment. 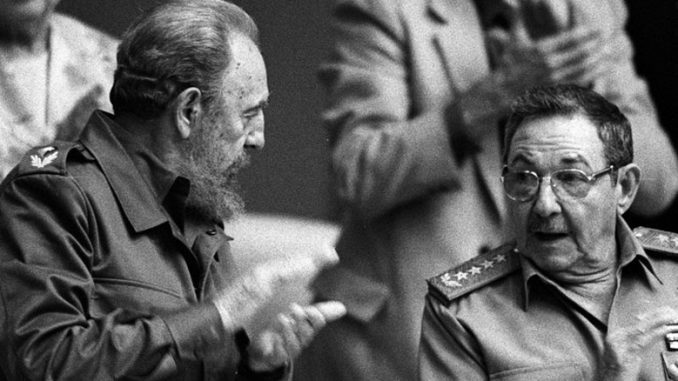 He even allowed for private farming to help address Cuba’s food shortages. But those actions are just a drop in the bucket for the changes that need to take place. For those born after 1959, the transfer of power is the first time they have been ruled by someone without the last name of Castro. Miguel Diaz-Canel is 28 years younger than Raúl Castro and for many he will represent a welcome change away from the Castro regime. As one Cuban citizen told the Washington Post, “For us, this is like trying to imagine a new color, one that you haven’t seen before.” Any big change will not likely be the case and optimism should be guarded. Diaz-Canel has been groomed for leadership by the Castro regime his entire political career, and even though there is the appearance that his selection was competitive, that was not actually the case. Raúl Castro will not be leaving the government entirely. He still will head the Communist Party as Secretary-General and is scheduled to be in that position until at least 2021. Castro will also remain the head of Cuba’s armed forces. The change in leadership will most likely not be enough for the United States to lift its embargo on Cuba. The Trump administration has taken a hardline against Cuba and it appears unlikely that it would allow a loosening of the restrictions it has ratcheted up shortly after coming into office.